Live entertainment and fun activities all day. For more information and latest weather update, visit FAITH FEST 2018. Faith Fest is a day of FAMILY, FAITH, and FUN to discover, celebrate, and deepen our faith. 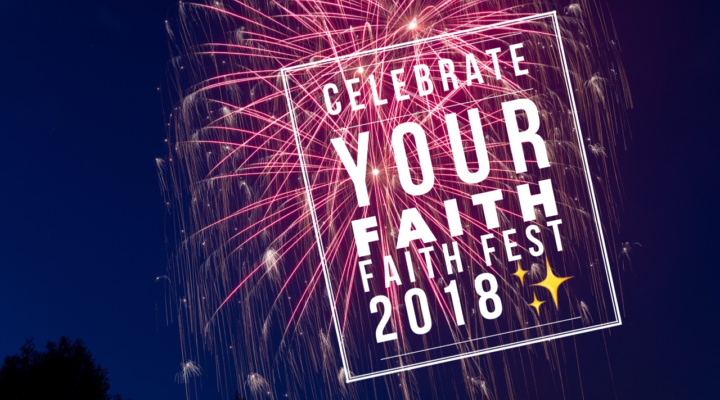 Faith Fest is a free, regional, multi-parish, Catholic music festival with family fun activities and wonderful opportunities to pray and celebrate Mass together, all concluding with a fireworks show.